Get 20% off regular-priced items at RaspberryKids.com using code weewelcome20 at checkout! Raspberry Kids is celebrating being in the top 5 for the Wee Welcome Parent Power Contest, with 3 days left in the voting. You can vote for Raspberry Kids and other favourite "parentpreneur" companies at Wee Welcome. The DivaCup is a great alternative to pads for women. An eco-friendly solution, the DivaCup is also latex-free, BPA-free, plastic-free, and contains no dyes, colors or additives. Read more about it on the DivaCup site here. I blogged yesterday about the sale at Purl Mama & Baby. Now you can get free shipping too! Use code "summer09"! ... It's Customer Appreciation Week at Baby On Board - save with no GST in-store or online until May 30! Baby On Board's store is located in Richmond, BC at the Richmond Centre Mall. They will match competitor prices - click here to read their price match policies. I don't see an exclusions on this sale, so it makes it a good time to purchase those items that rarely go on sale, like a Britax car seat. Shipping starts at $14 for orders under $49.99, then it's only $3 more ($17) to ship orders under $99. You can order online and pickup in-store if you live in the area. Click here for their shipping policies. Baby On Board carries a range of baby products, check out their online store at babyonboard.ca. Get 15% off at Hatley Nature store with code Text2store! The code applies to sale items, too! 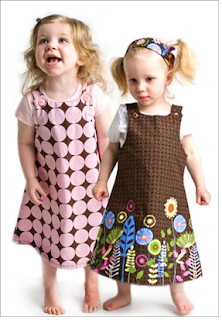 Hatley carries infant, kids, mens and womens clothing. 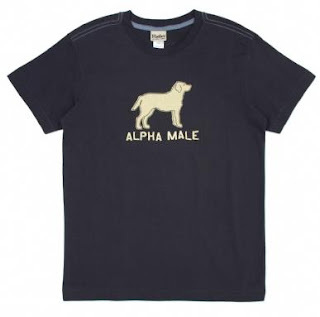 I love this "Alpha Male" t-shirt for Father's Day! You can shop in Canadian dollars from this Montreal-based company. They recently changed their shipping policy: shipping is now FREE for orders over $25.00! Rocky Mountain Kid carries quality outdoor active infant and kids' wear. Their products include not only tops and bottoms, but also outerwear, swimwear with built-in diapers and UPF +50, accessories such as hats and sunglasses, and body care products (lotions, etc.). You can get 10% off all their products using code SAVE10. The coded is good until May 29th. I like their shipping method, it's a flat $6.99 for purchases under $150! 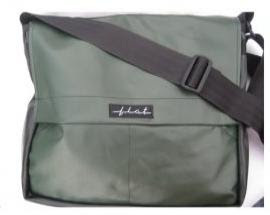 I also like this Flat Bag "Large Favourite", which is made from recycled bike inner tubes, and also made in Canada. It's on sale for $79,99, and it looks like you can apply the 10% discount on top of all the sale items! It would make a good Father's Day gift, too. Source: Yoyomama. Sign up for their newsletters to stay in-the-know in the Lower Mainland! Lots and lots of lovely items on sale at Purl Mama & Baby! Like this cute Egg Baby Voile Dress With Ruffle Diaper Cover (on sale for $20). Get the matching sun hat (on sale for $10) - all sun hats are on sale, too! Flat rate shipping starts at $7.95. For those of you waiting for a Britax sale in Vancouver, Crocodile Baby and TJs Kids both have the Britax Marathon in Denim on sale for $299 (Reg. $329). At TJs, the Mossy Oak style is also on sale. TJs also has a number of other items on clearance, including the Gussie and Guss GUGU (it looks like the Quinny Zapp) for $149.98 and the 2008 Peg Perego Arias on clearance for $169.98 (online only, you can buy online and pick up in-store). Well, 6/49 has come and gone. Why not enter some online contests? Odds of winning are much better! Here are 8 contests you can enter with prizes valued at $10,000 or more! Good luck! Carpet One Pick-Me-Up Contest: You could win a $25,000 Home Makeover or instant prizes every day. After you enter once, you can revisit the site daily and just enter your email address for a chance to win an instant prize by picking a balloon. Each time you pick a balloon, you will receive a "Match and Win" code. You might need that code to win a bigger prize, I can't tell because their rules page is in very small print! I save my codes in a draft email to keep track of them. Open to Canadian residents except Quebec. Ends June 14th, 2009. Bookmark this one! CTV/Home Hardware Ultimate Backyard $50,000 Makeover Contest: Win a $50,000 backyard makeover. There are 10 secondary prizes of a $1,000 Home Hardware Gift Card, 12 third prizes of a Yardman stainless steel deck lawnmower, and 100 fourth prizes of a one-day deck restoration system awarded in the form of a $75 gift certificate from Home Hardware for Natura deck cleaning products and Wood Shield Stain. Ends July 17, 2009. Purex Laundry Room Makeover Contest: Win $10,000 towards laundry appliances and home decor. One entry per household PER DAY, so bookmark this one! Ends July 31, 2009. Marble Slab Creamery Win a Dream Family Vacation Contest: Win a Signature Vacations Dream Family Vacation for 4, valued at up to $10,000. You have to make a 'tasty creation' and name it. Contestant entries get voted online, and the winner is the creation with most votes. Ends August 31, 2009. Open to Canadian residents except Quebec. Royale Reno-cations Contest - Win $13,000 towards a Home Renovation and then celebrate the changes you made, with a $7,000 Spa Vacation. You can improve your odds of winning by entering WEEKLY and referring your friends. You can receive one entry per week and up to TEN additional entries if you Refer your Friends and they enter the Reno-cation contest. Contest closes June 28, 2009. Bookmark this one too! Fisher Price Little People 50th Birthday Contest - Win one of four grand prizes: a Bosman Home Front Play Set valued at $5,000; a $10,000 Transat Holidays vacation package to Orlando, Florida; a $15,000 Transat Holidays vacation package to discover the sites of Europe; or, an ultimate learning room packed with all the toys and tools your child could need, valued at $5,000. Refer a friend for an extra entry. One entry per prize per household. Contest closes on December 31, 2009. 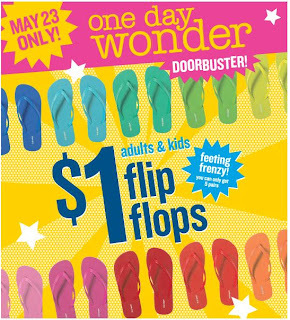 If you are cruising by an Old Navy on Saturday May 23, drop in and pick up some flip flops for $1 - both adult and kids sizes! Limit of 5 per customer. Click here to find a location near you. Harveys is giving away FREE Original Hamburgers this Sunday, May 24! Participating locations will be giving these away between 10:30am and 3:00pm. Proctor and Gamble is offering free samples of their Hello Hydration or Body Envy Shampoo and Conditioner! Click here to view the Herbal Essences page. The free sample link to the P&G page is on the top right. Get a free sample of Herbamare Aromatic Sea Salt! Note, you do have to play a game first to get the freebie. Herbamare is a condiment that is a blend of celery, leek, watercress, onions, chives, parsley, lovage, garlic, basil, marjoram, rosemary, thyme, and kelp, all organically grown. Use it as a replacement for table salt. Only until this Saturday, Sears.ca customers can save up to 50% with the Celebrate Summer sale! You can also save $10 on your next purchase of $75 or more at Sears.ca with bonus code 941612303. Hurry, only until May 23, 2009! If you are looking for a stroller or car seat deal, there are a number of models on sale, plus you can use the bonus code for extra savings! Order on-line and pick the item up in-store and save on the shipping cost, too! Get a free Venus Embrace Razor! This is a 5-blade razor, with a Protective Ribbon of Moisture that provides a smooth glide. A nice freebie! Have you heard about the free Iced Coffee or Iced Latte deal at Tim Horton's? Tomorrow, Thursday May 21st from 12pm to 5pm, you can get a FREE small Iced Coffee at participating Tim Horton's! Apparently in BC and Manitoba, the deal is a free Iced Latte, and for the rest of Canada it's a free Iced Coffee. Either way, it's a sweet deal if you are out and about with baby and want a refreshing drink! Click here if you want to view the details on the Tim Horton's site. Robeez is having a Spring into Summer Sale! You can get a soft-soled shoes and socks set for $29.99 CAD, or check out these Fashionista MJs for $26.99 CAD. Shipping is free when you purchase 2 pairs! And you can shop in Canadian dollars! Click here to check out the sale at Robeez! You can now purchase Bumkins Cloth Diapers at Costco online! All-in-One Diaper Bundle ($139.99 for Small size) - you get 6 diapers with 6 inserts. 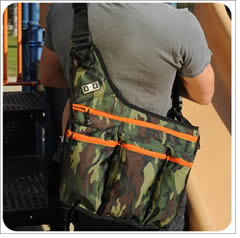 Diaper Cover 4-Pack with Dirty Duds Bag ($78.99 for Small size) - you get 4 diaper covers and 1 dirty duds bag. Note this bundle does not include the cloth diapers. This set has a very cute Dr. Seuss print available (see product pic below). Contour-Diaper Bundle with Diaper Covers ($109.99 for Small size) - you get 6 contour diapers and 2 diaper covers. Shipping is included in the prices, so overall the pricing isn't too bad. A Costco gift card as a baby shower gift would work quite well now! You can also still get a FREE Kirkland Supreme diaper sample from Costco (one sample per household). Click here to sign up! (Note, where it asks for a Costco member ID, you can leave it blank). Undercover Baby is having a sale on select baby blankets! There's a good selection of styles on sale to choose from. The Wrap-Me-Up blankets measure 40"x42", which is larger than regular receiving blankets so they work great for swaddling baby. They have a double layer of flannel more absorbent, and all fabrics are preshrunk. I like this Brown Cow pattern is on sale for $9.95. There are also Minky Blankies, on sale for $19.99. Shipping starts at a flat rate of $7.50 for purchases under $29.99. Check out the sale here, there's a large selection to drool over! Undercover Baby products will soon be available at BabyGrins.com and PoshBabyBowtique.com. 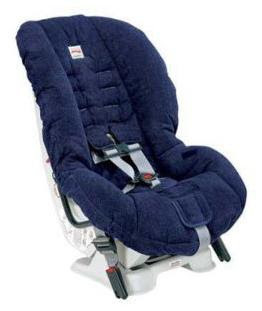 Please Mum is recalling their Baby Girls Puddle Jumper. There is a potential CHOKING HAZARD with the ball on the zipper coming loose. Owners are advised to remove the ball off the zipper pull, or bring it to your nearest Please Mum store and they will remove it for you. Click here to view the full safety notice. You can contact their Customer Service line, toll free at 1-800-665-9644. Are you a pregnant and having trouble remembering what seafoods you need to avoid? Download and print this pocket-guide by SeaChoice for sustainable seafood choices and sustainable sushi choices. It's a great guide to tuck into your wallet, especially for pregnant moms! It's handy for anyone who love seafood! The guide categorizes three lists each for seafood and sushi, a "Best Choice", "Some Concerns" and "Avoid". This lists indicate which seafoods pose a health risks from mercury or from PCB, dioxins or pesticides, which is harmful for both you and your baby. Read more about sustainable seafood at the SeaChoice website, or read this article on the David Suzuki website. For the seafood guide, click here. For the sushi guide, click here. You can also order a guide by sending an email to info@seachoice.org. Here are some special discounts brought to you by SavvyMom.ca! Saplings Sustainable Kids Decor: Use code Savvy 15 and receive 15% off. Check out their Father's day gift ideas, I like the Hockey Stick or Baseball Bat Wall Rack. Exp. May 31/09. MuralMom.com: Use code SavvyMay and receive a 15% discount. Exp. June 1/09. ZooWallogy repositionable peel-and-stick wall art, is on special at Honey-Bunch.com: Buy two and save $10. Enter code MayHoney at checkout. Exp. May 31/09. I blogged about their $10 off your order using on orders totalling $50 or more early this month - use code springspecial. Expires May 30, 2009. 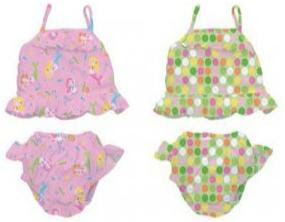 BumbleWee Nursing Wear: Use code savvy10 for a 10% discount. Exp. June 1/09. I blogged about BumbleWee yesterday, click here to read more about BumbleWee Nursing. Blue Celery sling and a carrier all in one. Use code SVM112 and receive 15% off. Trelia iBert Safe-t-Seat for bikes. Use code savvy1 for free shipping on your order. Exp. Oct. 31/09. Charming Mommy personalized jewelry with a cause. 10% of all sales are donated to autism charities. Use code SAVVY15 and receive 15% off all purchases. Exp. May 29/09. Simply Colors personalized clothing for babies and children. Prices start at $12.50. Use code savvy and save 10% on your total order. This offer doesn't expire until Exp. Dec 31/09! 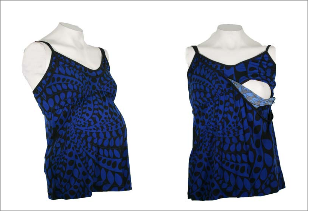 BumbleWee offers stylish 2-in-1 tops, dresses and pajamas that go from maternity to nursing! They also carry nursing accessories, including this fabulous breastfeeding bonnet - just place the bonnet on your baby's head and let baby nurse. Coverage for you, and coverage for baby from the sun, too! Get a free sample of GoodNites Boxers! This freebie is for children weighing approximately 38 lbs or more. You will have to complete a very short questionnaire to get the freebie. Click here to sign up for your free sample. You can also get a $1 coupon here! Limit one per household through Jun 30, 2009. Part of Gap Canada's Victoria Day weekend sale is a buy one, get one 50% off all GapKids swimsuits! They also have a sale on all shorts - $30 a pair from May 15-18. Assuming that this may be for adult and children's sizes, as their advertisement does not indicate. The swimsuit sale is on from May 15-27. Click here to view the entire advertisement and details. BabbaCo BabbaCovers are absolutely adorable covers that you can place over your infant seat carrier! It will protect baby from cold, wind, noise, and gives baby a cozy nap time environment if he or she happens to doze off. This product is approved by PTPA Media (Parent Tested, Parent Approved), an organization that provides an objective means to discover and appraise new products designed to enrich family living. Click here to view the BabbaCo BabbaCover on the PTPA website. Click here to purchase BabbaCovers at Purple Pupa for $89.95 (on sale from $117). The case in this freebie is so pretty! o.b. Tampons Canada is giving away this free sample pack of 3 tampons in a pretty case holder! The case is perfectly sized for slipping into your purse or diaper bag! You can even have up to 3 people per household sign up for this freebie! One thing to watch for, the form asks for an SMS number, which means they want you to enter a cell phone number so that they can text message you. I personally am not a fan of this type of advertising, and on this form they have it as a mandatory field. To get past this without giving out your number, just fill in any number, ie. 778-999-9999. Click here to sign up for this freebie! After you sign up for the freebie, you'll get to print a coupon for $1 off any o.b. product (18 count)! You can print the coupon from this link here, too - the coupon doesn't expire until June 30, 2010! So you can go back and reprint the coupon for continued savings! I spied two styles on sale at Vancouver-based CrocodileBaby.com! The Heart-Rose style (reg. $124.99) and the Organic Black Embroidery style (Reg. $143) are both on sale for $100! The Ergo is a highly-rated carrier for its comfort features and back-friendly design, and hardly ever goes on sale, so catch this one before they sell out! If you live in the Vancouver area, you can order online and pickup in-store to secure your order. Shipping varies by location, it's about $8 in Vancouver and approximately $15 to Toronto-area, so even with the shipping costs this is a deal! Click here to go to their sale page! Click here to see all the free Pampers codes I have listed! Hope you are enjoying your Mother's Day weekend! Free sample of KY-Intense for Her and go to Cloud 10! Get a free sample of KY-Intense for Her. KY is not marketing this as a lubricant. Rather, it's an "arousal gel" to "make [insert 3-letter word here] more satisfying" for women (guys, you can sign up for this freebie too). KY has this set up on a site marketing travel to "Cloud 10". This seems to be a take on the saying "being on cloud 9" - the site is set up for you to choose romantic scenarios, which ultimately lead to the KY-Intense freebie. So when you finish signing up for the freebie, you'll be asked if you want to send a Cloud 10 invitation to your partner, that's what that's all about. Click here to get your KY freebie! Get a free sample of Nutella spread! This hazelnut and cocoa spread is yummy stuff. I hear that the last time they gave out this free sample, two packets were sent out to those that signed up. Samples might be gone fast, so click here and order your freebie now! Your baby, toddler or kid could be on the cover of the 2010 April issue of Today's Parent Magazine! You could also win a Sony high definition, Memory Stick media Handycam camcorder HDR-CX100 and one of four $200 gift cards to The Children's Place! The child must be between 6 months to 6 years old and a Canadian resident. Contest closes September 5, 2009, so you still have a lot of time to shoot photos of your cutie! Click here to enter the contest! You can read all the contest rules here. Here's one for the Dads! MEXX Canada is having a $100 off suits sale! The sale is on now and ends May 9, so hurry into the store to get this deal! Amanda wrote it to tell me about this awesome online and in-store sale at Escents (www.escentsaromatherapy.com), which has locations across Canada and is based in Vancouver. Escents is having their semi-annual sale this weekend - 20% off everything storewide, use code SAS20. Plus they have select items marked 50-70% off! If you still need to pick up a last-minute Mother's Day gift, drop into one of their stores to pick up a deal, any Mom would love this stuff, just mix and match the products to your liking. They carry a number of baby products, and have recently launched an "Organic Baby Soothe Collection" which includes a shampoo and wash, lotion, baby balm and massage & bath oil. Amanda tells me that "The scent is 100% pure essential oils and natural - Lavender and Orange. It smells amazing and I've noticed it's really hard to find good, reasonably priced organic baby products." I came across their "Bug Off" products - there's an Aroma Blend ($8.95) that you can add to a lotion or spray, Aroma Mist ($9.95), or Body Balm ($14.95) - which keep bugs away naturally with lemongrass and lavender. This will come in handy for me and baby in the summer! With the 20% off sale it's a perfect chance to try out some of these products. Click here to check out their baby products, and click here to view the 50-75% off items. To find a location, click here. Thanks for writing in, Amanda! Thinking of taking Mom out for a special meal this weekend for Mother's Day? Not sure where to go? OpenTable.com has a fabulous list of restaurants offering Mother's Day brunch, lunch, dinner, or other specials for Vancouver and Toronto areas! You'll be able to view which restaurants have free drinks for Mom, or a special Mother's Day menu. If you haven't heard of OpenTable.com, it's a website directory of restaurants in major cities across Canada, including Calgary, Edmonton, Halifax, Montreal, and Winnipeg. You can book a table at listed restaurants from this website, and accumulate points by completing your reservation. The points can be redeemed for dining certificates! Standard reservations earn 100 Dining Reward Points each. You can earn Bonus Points for reservations at select restaurants and times. Book soon for Mother's Day! Check out the Mother's Day specials for Vancouver and Toronto areas! If you live in one of the other cities, you can still search for restaurants and earn points on Mother's Day! 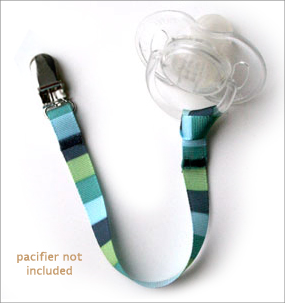 Some super-trendy binky leashes are on sale now for $4 at Small-Potatoes.ca. There are dozens and dozens of styles to choose from, and when I checked out, the shipping was ONLY $2 (orders less than $25 are $2)! I also added a $14 "drinky leash" to my order (regular price). There are also some fabulous print dresses for $39... if I had a girl I'd be all over this one too! The binky sale is on until May 31, 2009. Bug & Pickle, makers of "lotions and potions" for mums and babes, have a special Mother's Day deal for you! Any purchase over $50 (before shipping) will receive a FREE Belly Firm postnatal cream, worth $20! Just enter the coupon code mum at checkout! This offer is good until May 30, 2009. 300 points when you buy 2 participating Nativa Baby/Toddler food product. 2000 points when you buy 2 participating Nestle Good Start Formula. 500 points when you buy 2 participating Stayfree products. That's 2800 points you could get, which equates to a few dollars (7,000 points = $10, click here to view the points calculator and reward schedule). You'll need the exclusive v.i.b. coupon for this, click here to get them! The coupons are good until May 31, 2009. Mom Salary Wizard - What's Mom's Work Worth? What is Mom's work worth in dollars? According to Salary.com, it would equate to an annual salary of $122,732 for a stay-at-home mom. Do you think we can send this report over to our federal and provincial governments and they will realize just how much our childcare benefits are lacking? Check out this fun salary wizard from Salary.com, and read more about how they evaluated Mom's work in this slideshow "The Many Jobs of a Mother's Day". Ladies, don't you just love spas? And Moms love spas even more, whether for a mani/pedi, facial, or a relaxing massage! So a gift that is sure to please for Mother's Day is a gift certificate to her favourite spa. To save yourself some dollars on this gift, you can purchase two $50 WaySpa.ca certificates for $79.99 at Costco.ca - these certificates can be used at a number of locations across Canada. The certificates can be delivered to your email! According to the Costco.ca site, the gift certificates never expire and there's no restrictions! This deal is better than the current 10% off deal that WaySpa is offering on their own website! These certificates can be used at a number locations, such as La Raffinage and Miraj Hammam in Vancouver, and Shizen at Pantages in Toronto. See WaySpa.ca to search for locations and book an appointment. By the way, this deal is available year-round from Costco.ca, so it's great for birthdays or anytime you want to spoil Mom! Click here to buy your certificates, and click here to search for and book your appointment! The word is out that Costco Canada will be partnering with Save.ca to give consumers more savings (and more shoppers to Costco's door - recession effects I suppose). Costco will be offering coupons that will be valid from June 1 to 14, 2009. Click here to see more details on the Costco Canada Save.ca coupons. Haven't heard about this program yet? Click here to read more about it and get more free codes too! Roots Canada online is having a "Mix it up" sale - buy 2 items, get 25% off! The sale applies to select babies, kids, and adult clothes. They still have a sale on their baby layette gifts - get $20 off $60 purchase of baby layettes; and there's still other baby items sale priced starting at $4.95 (not part of the buy 2 get 25% off sale). Click here to go to Roots online! A few weeks ago, I went to a tweetup to meet with other "yummy mummies" and Erica Ehm! What's a tweetup? It's a gathering of people that met on Twitter! It was great meeting other local moms that I have met on Twitter (and some I had not yet met on Twitter, too!). The highlight of the meeting was meeting Erica Ehm, whom you may remember as one of the original VJs from MuchMusic. Erica was elegant, classy, gorgeous as ever, just a lovely person - even though I only spoke to her for all of five minutes, she made a great impression! That she took time out of her one-day schedule in Vancouver to meet with us was awesome. Erica Ehm is the force behind the website YummyMummyClub.ca. Insightful articles, lots of contests to enter, and events for yummy mummies across the country - you'll find these and more at this hip online hub for moms, because "Moms want to have fun, too". You can also read Erica's Blog on the site - click here to read about her Vancouver visit (the tweetup with moms is at the end of the article). You can follow Erica on Twitter @YummyMummyClub. Read more, view photos and video about the tweetup: an article by Rebecca Bollwitt (@Miss604), who is a professional blogger, consultant, music and hockey podcaster, E!Online guest contributor, WordPress coder and co-founder of @sixty4media; and an article by Rachael (@Rachaelpachel) who also took an awesome video of the tweetup! Erica has been doing other tweetups in other cities as well, maybe you can catch up with her! The Twitter hashtag is #YMCoffee - Click here to view the Twittering on #YMCoffee! ...Amendment May 6, 2009: It seems that this company may no longer be active! Thanks to Alan for this alert. I called both numbers for this company and the numbers are no longer active. Some really good deals here, and a decent selection of styles left for some of the items. Shipping depends on total purchase. Check out the sale at BabyGuru.ca. "Bring mom to IKEA on Mother's Day and we'll treat her to a FREE $1 breakfast. " How $1 equals free has me laughing out loud, but I suppose $1 is close to free these days anyway! The first 100 moms would also receive a small gift from IKEA. Breakfast is served between 9:30 and 11 am. Last I checked on other locations across Canada, there were no Mother's Day events scheduled, unfortunately (what's with that!?). You can also bring your kids to IKEA Coquitlam or Richmond on May 9 from 11 am - 2 pm and make a lovely gift for mom! Hatley, creators of nature-friendly apparel and gifts, has a 20-50% off sale on select items! You can choose from products for infants, kids, tweens, men and women. Check out their gifts, too, like this charming kids dinosaur apron (sale priced at $13.50 CDN). You can shop in Canadian dollars, and shipping is a flat $8.99 for orders under $64.99 FREE for orders over $65.00! Get a free sample of Mom's Healthy Secrets Cereal! "Haven't tried our "Signature" cereals? This is the perfect opportunity to. Simply complete the attached form and we'll send a sample right to your door." The company's "Signature" cereals are certified USDA organic and it looks like they offer three products, an antioxidant-rich VibraBerry, a high in-fibre FibreFit or OmegaActive which contains Omega-3 and Omega-6. (There's no choice for the free sample, though). Click here to view locations of where you can buy the cereal. Sign up here for your free sample. You are being offered a special Canada-Mom-Deals.com Friend rate! Special rate of $10 per month, list up to 3 months! Ad will display on every page of this blog. Advertising can start on any day of the month, except for weekends (to give you the most value, as traffic tends to be lower on weekends). If your purchase is made on a Saturday or Sunday, your ad will start on the Monday. You will receive a receipt after the ad is posted, with the start date of the ad. Please let me know if you have a preferred start date. Pricing is in Canadian dollars. Secure payment can be made by PayPal or major credit card. After your payment is submitted, please send your graphics to info@Canada-Mom-Deals.com so that your ad can be set up as soon as possible! Click Here for Your Special Rate Form! There are many Canadian moms out there busily blogging reviews on baby and mommy products, and holding giveaway contests! Visit their sites to read about these new products and enter their giveaway contests! Canadian Giveaway Bloggers, to get your site listed here, just grab my button here to post on your site and then add a comment below with a link to your site so that I can grab yours! PurplePupa.com is having a huge shoe sale until May 5. All shoes are 25% off, and you can choose from a very large selection of styles! Brand names include See Kai Run, Eleven, Minipas Squeaky Shoes, and Smaller. Shipping in Canada is a flat rate of $7 and free with purchases over $149! Lunapad.com has some wonderful gifts on sale for the new mom! Items on sale at 10% off include a Postpartum Kit for soon-to-be moms, Bamboo Nursing Pads for breastfeeding moms, and Lunabalm, Lunablend and Moon Cycle Bath Salts to help Mom relax on her special day or any day. Additionally if you purchase $60 or more, you will receive a bonus reusable herbal bath sachet! You can get free shipping with orders $75 or more. Click here to check out all their sale items! Share the deals! Post a Canada-Mom-Deals button on your website! Just copy and paste the code below from the button style you like! Thank you very much for the link back!